One in four (25%) UK commercial drivers are failing to take appropriate rest breaks, putting the onus on operators to ensure drivers are not breaching guidelines. A quarter of commercial drivers in the UK are breaching the law when it comes to rest and fatigue. 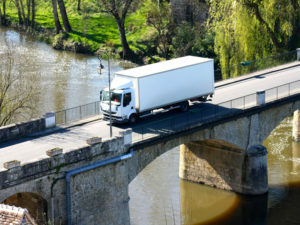 Although commercial drivers in the UK are required to take a rest break of at least 45 minutes after a maximum four hours and 30 minutes of driving time, the research by Verizon Connect found a quarter of fleet managers admitted that their drivers on average take breaks after five hours or more. Two-thirds of fleet managers (66%) have systems in place to help ensure their drivers take required breaks. However, 16% of them leave it at each driver’s discretion to take appropriate rest, 15% ask their drivers about their breaks and 3% do not know. The study also asked fleets. When asked about the top issues that worry them, 24% cited compliance, 23 percent said unsafe driving practices and 13% of fleet managers said drivers not taking rest. The research also found that nearly half (46%) of fleet managers use a tachograph to automatically record vehicle speed and distance and to keep track of their drivers’ rest periods. On average, fleet managers said they spend more than three hours a week correcting and following up on drivers’ tachograph mistakes – when asked how they would prefer to spend this time instead, looking for ways to reduce costs was the most popular response with 39%. And although fleet managers must also keep tachograph data on record for no fewer than 12 months, over a third (31%) admit non-compliance by failing to download driver data every 28 days while 29% said they were storing the data for less time than they are supposed to. “In doing so, managers reclaim time to focus on growing and improving the business,” he explained.